Photo: Where we left the cars in Globe Canyon. Eastern Mojave Vegetation Where we left the cars in Globe Canyon. Photographed April 1983, scanned from a print 6 February 2018. One year we drove up Globe Canyon and dropped off some backpackers. I think the little red pickup belonged to Scott Clarke. Globe Mine Road - Mojave National Preserve: near Summit Spr Rd. 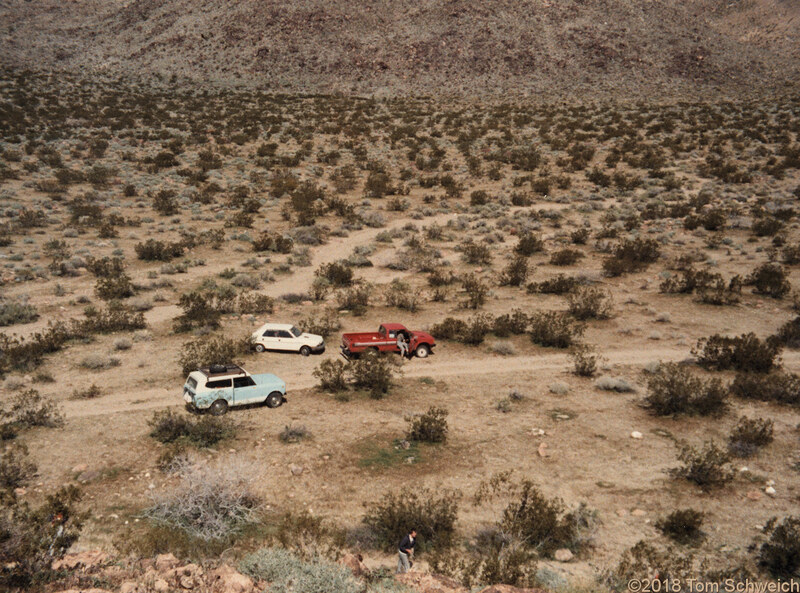 Other photos about Geography - Eastern Mojave or Globe Canyon.